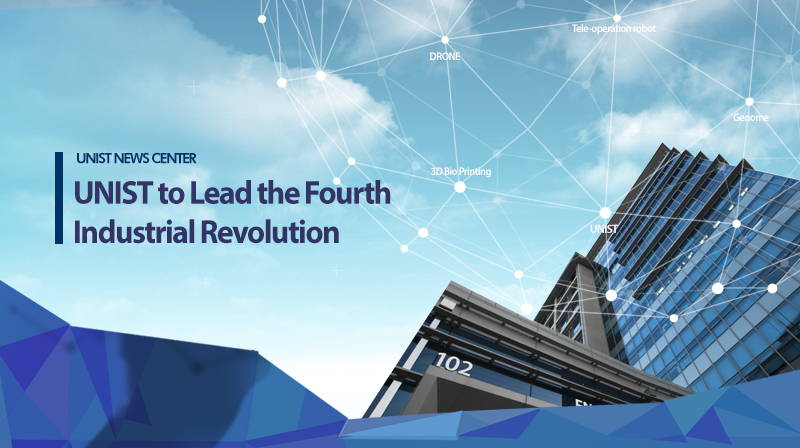 UNIST has been broadcasted nationally through the KBS's special report, "Lead the Fourth Industrial Revolution". KBS News reporter YoungHa Park reported on finding solutions for the economy of Ulsan under the theme of “Fourth Industrial Revolution” in the new year. As Ulsan desperately needs a new economic breakthrough, UNIST’s high-tech technologies associated with the Fourth Industrial Revolution are expected to become new growth engines to revitalize the economy of Ulsan. In this special report, some of UNIST’s major research areas, such as avatar robots, genomic analysis, as well as 3D bioprinting were also introduced as innovative technologies for upgrading Ulsan’s major industries.